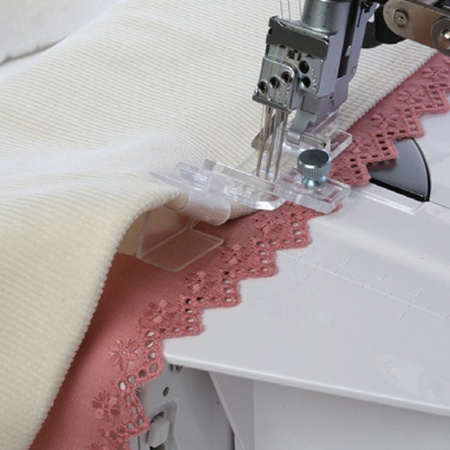 The cover hem stitch is used by professionals as a hemming method. With the right attachments, you can use it to add lace or trim to a hem, fold fabric in a hem automatically, and make a perfect wrapped edge. use with Lace attachment, hem guide or wrapped edge guide for beautiful finishing. 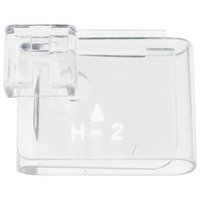 Use this foot with the Hem Guide H-2 attachment (#200801108) to create professional 1" finished seams.